Methane Leaks are Found Looking "Top Down"
As the Conservative Manifesto portends a planning ‘free for all’ for shale gas, Talk Fracking launches its new report demonstrating the flaws in the Government’s case on fracking and climate change. The Government’s case – detailed in the Mackay-Stone report – has been widely criticized in the past. Research published over the last 18 months, outlined in Talk Fracking’s new report, questions the accuracy of the data used in the Mackay-Stone report. And as a result of this new information Whitehall’s climate case has arguably collapsed. The issue here is about science and uncertainty. So first, What is ‘science’? It is a process for how we find, measure and then evaluate the real world in order to identify how it works. The problem is, particularly for contentious debates in the media and politics, that we seldom hear about the degree of confidence attached to scientific findings, or the uncertainties that surround them. Rarely is the method by which those results were produced ever discussed. In such an environment it is easy to use ‘results’ outside the context in which they were formed, extrpolating them to novel circumstances in a way that is scientifically invalid. When we hear the fracking industry and academics argue over leakage figures, we might presume the issue is whether or not one or other set of figures are correct. In fact, the issue here is the method used to make those measurements, and whether or not that system of measurement produces a realistic result. The Government in Whitehall (distinct from those in Edinburgh or Cardiff, who currently have moratoriums in place on shale gas development) has promoted fracking as a means to meet climate change obligations. As Energy Secretary Ed Davey claimed in 2013, shale gas is a “bridge“ to a low carbon economy. That claim rests on the results of one report, written by the Department of Energy and Climate Change’s (DECC) Chief Scientist, David Mackay, and the economist, Timothy Stone. The point at issue today is whether that process of evaluation was valid, even when the report was first published in September 2013. How we measure and evaluate the pollution emitted by industrial processes is a compromise between what is technically possible and realistically practicable. Reliably measuring gases emitted from equipment outdoors is difficult, so it require some flexibility. These historic difficulties mean that regulators have relied on a ‘bottom-up’ or ‘inventory’ method to assess the leaks from oil and gas operations. Small parts of the equipment are tested, either in a laboratory or specially constructed test rigs. The leaks are measured or estimated. Finally the figures are combined in an ‘inventory’ of the system being monitored to produce a total. When the climate impacts of oil and gas production were first assessed in the 1990s the assumption was that the effects of leakage were ‘insignificant‘. What has happened since is that the monitoring technology has improved. Today it is possible to equip aircraft or ground vehicles as mobile gas laboratories. These are flown or driven around oil and gas fields to sniff the air. From that sampling it is possible to produce a ‘top-down’ estimate of how much gas is leaking in order to create the measured concentrations in the air. In an ideal world the top-down and bottom-up measurements would, within a reasonable boundary of uncertainty, match. The difficulty is that they do not. What consistent studies carried out over the last decade or so have found is that real-world, ‘top-down’ monitoring exceed the estimated ‘bottom-up’ measurement of emissions by at least two to four times. It’s this mismatch over measuring that is at the heart of the fracking and climate debate. The research paper which highlighted the significance of this debate over measurement methods was produced by Howarth, Santoro and Ingraffea in June 2011, entitled ‘Methane and the greenhouse-gas footprint of natural gas from shale formations‘. The ‘Howarth paper’ gained prominence because it claimed to show that shale gas was not only worse than conventional gas. Under certain circumstances it could be even worse than coal-fired power generation. Firstly, because it was using ‘top-down’ assessments of leakage from natural gas systems. As noted above, these have consistently produced much higher levels of leakage than ‘bottom-up’ data. Secondly, it used a global warming potential (GWP) figure for methane reflecting its impact for the first 20 years after emission, rather than the 100-year figure used by Mackay-Stone. 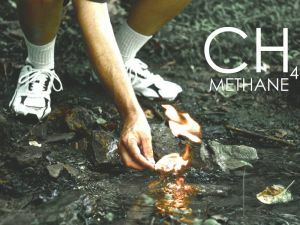 Because methane is a very powerful but relatively short-lived greenhouse gas, this gives a much higher figure, and one more relevant to the immediate climate crisis. The 20-year issue is important as methane has gained prominence as a greenhouse gas. Again, new sampling techniques have been finding far higher concentrations in the environment than were expected. As we approach climatic tipping points, the impact of fast-warming methane is becoming more significant to how we respond to climate change. In Britain, DECC commissioned Mackay and Stone to evaluate the climate impacts of shale gas – although if you read the report, it is clear that it is targeted squarely at invalidating the results of the Howarth study. Then they compared that to other available figures for conventional gas, coal-fired power and imported liquefied natural gas (LNG). The figures used for gas production per well were at least twice what is seen in US gas wells – and had no clear independent source. However they probably came from Cuadrilla, which had questionable links to DECC at that time. Using a figure for leakage which was perhaps a half of what it should have been, and a figure for gas production which was twice what it should have been, the level of impacts which their analysis found is arguably a quarter of what it should be. Mackay and Stone, while rejecting Howarth’s figures, also disregarded other studies produced around that time which had produced similar results to Howarth. Instead they promoted an as yet unpublished study, by Allen et al., which claimed that leakage rates could be minimized using what was called ‘reduced emissions completions’ (REC). The 2013 study by Allen et al. 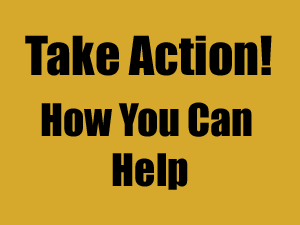 was part-funded by the campaign group, the Environmental Defense Fund. It is a ‘bottom-up’ analysis of leakage from oil and gas operations, and claimed levels of leakage far lower than similar studies. The publishing journal, PNAS, had to issue a correction because the authors had failed to declare their conflicting industry affiliations. More significantly, the study does not disclose which, and what type of sites were being tested, so it was difficult to relate the results to the industry as a whole. Most seriously though, the sites were not randomly selected for testing – as acknowledged in the supporting information published alongside the paper. Their industry partners selected which sites they were to test, and so there’s no evidence the sample of sites measured were representative of the industry as a whole. First, research by Howard et al. highlighted that one of the most widely used sensors to measure methane concentrations – which had been used in the Allen study – routinely malfunctioned, under-reporting methane concentrations. Next, the US Argonne National Laboratory, which co-ordinates the reporting of US carbon emissions, noted that the sensor might be under-reporting methane levels by three to five times. Finally, in 2016, the Environmental Defense Fund, who had part-funded the Allen study, rejected its results. From the date of its publication the Mackay-Stone report has been flawed, due to the approach taken to calculate the impacts of shale gas, and in particular due to the selection of data. DECC and its authors defended this by referencing the Allen study as proof that emissions could be reduced to levels where the impacts would be ‘small’. Now that the Allen study has been shown to be flawed, the Mackay-Stone report has been definitively invalidated too. However, that has not stopped ministers and Parliamentarians quoting it to support the Government’s policies on oil and gas extraction. DECC itself was disbanded in 2016, but in January 2017 the new department – the Department of Business, Energy and Industrial Strategy (BEIS) – issued revised guidance on shale gas. Once again it echoed the results of the Mackay-Stone report. In March 2016, the Committee on Climate Change (CCC) produced a report on onshore oil and gas production. BEIS did not release it for four months, until Parliament had almost finished for the Summer Recess. When Environment Secretary Andrea Leadsom announced the report to Parliament she claimed that the CCC said that onshore oil and gas was compatible with the UK’s climate targets. This was misleading, as this is not within the context of the CCC’s conclusions. As stated in the recent House of Commons Library briefing on Shale Gas and Fracking, the CCC concluded that fracking must pass three tests to be acceptable. The third of those requires that we reduce emissions elsewhere in the economy to accommodate the emissions from onshore oil and gas. That could be extremely difficult – and might not be possible. As Climate Change Secretary Nick Hurd stated in evidence to a Select Committee in January 2017, finding even the 50% of savings that have yet to be identified to meet the UK’s climate targets will be “hard”. The Mackay-Stone report was flawed on the day of its publication. Today it is wholly discredited. No minister can quote its conclusions with any certainty without demonstrably misleading MPs and the public as to the current state of the science. In fact, like the Mackay-Stone report, large parts of the two other reports which the Government rely upon to justify fracking – the Royal Society report from 2012, and the Public Health England report from 2014 – can be similarly invalidated if we look at the weight of evidence now available. The Mackay-Stone report must be withdrawn, and a moratorium implemented on all fracking operations until we can state their impacts with certainty. At the same time Whitehall and government ministers must admit to the mistakes in their previous claims, and commit to an open and transparent review of the evidence now available. Download the Talk Fracking report, ‘Whitehall’s ‘Fracking’ Science Failure‘, written & researched by Paul Mobbs. A fully referenced version of this article is available on FRAW.